This 'instructable' is for creating jewelry using plexi/acrylic.
. your choice of chains, hooks, leather strings etc..
-- if you don't have a sketch you can use pen tool or pencil tool to create half the shape of your pendant using a stroke. 3. now you have your half shape. Right click, choose transform, then reflect. A window will pop up, check preview so you can choose if you want your design to be reflect horizontally or vertically. 4. now your reflected shapes are overlapping, use the black arrow tool while holding the shift key to separate both shapes. after you've done you're designs, take a look at how you're file should be formatted and arrange it according to the guidelines that have been set by you laser cutting provider. 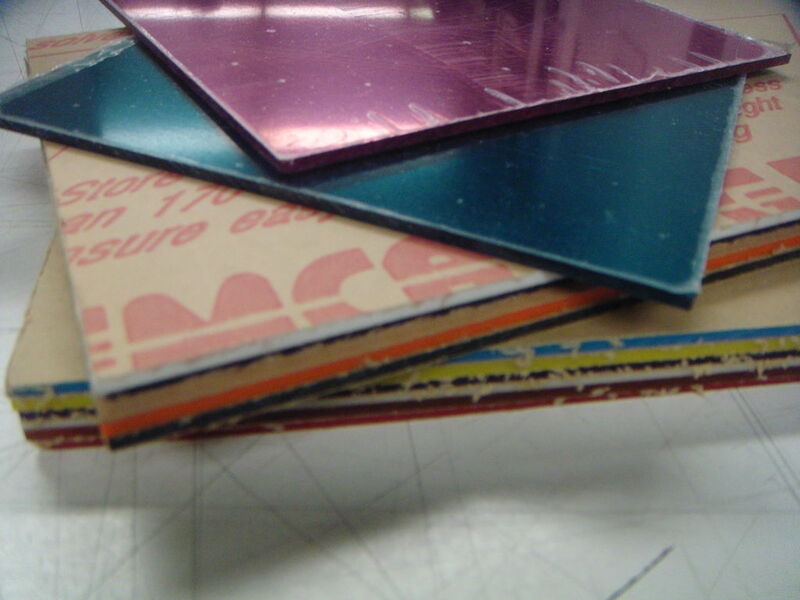 consult with whomever is familiar with the laser cutting machine you plan to use. talk to them and show them your file and make a trial before using you're favorite plexi sheet. now that you have your pendants it's all about creating your personal favorite things with the supplies that you have. you can use type to carve someone's name on the pendant. (on illustrator click on type, create outlines, now the typography is just like any other shape. remember that engraving should be a different color that the cutting on your file, again consult with laser cutting guidelines). and here's how you can make personal pendants to sell or give as gifts. Wow! This jewelry is so cool, the options are just endless here with these designs. Absolutely love it. But how did you get a laser cutter machine? Is this the same as a 3D printer, like these http://www.monomachines.com/shop/office-supplies/3... or is this completely different. These printers seem so cool to make little jewelry pieces though. Thanks for the awesome instructable. I've got to try this! Hey! I'm glad you enjoyed it, I don't have a laser machine. You should be a able to find a laser cutting/engraving service around you (usually places that offer printing services would have one). It's not the same as a 3D printer. ohh ok, big difference! Thanks for clarifying that. A service would be super helpful. Thanks again! Omg! How did you learn how to use a laser cutter machine. Not everyone has a laser cutter, but you can find great services online to help you out.www.cutyourway.com is a great site that gives free samples up to 1"x3"
Just send your design and they make it and mail it to you in about a week. They have lots of cool materials like pearly acrylic and exotic woods like ebony and cocobolo. it's free and easy to use. There are tons of tutorials online to help you get started!